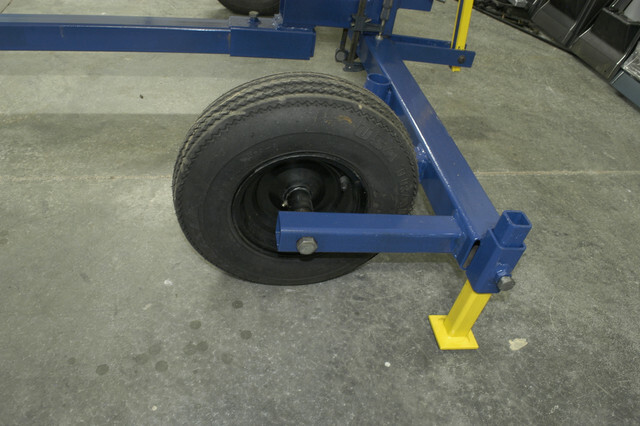 Has anyone installed pneumatic tires/wheels on an engine stand? I anticipate use of mine on uneven surfaces and those little steel casters won't work well in my opinion.. I have looked around online and haven't found anything like this. Unfortunately if they are tall enough to move easily over rough surfaces, they will make either unit unstable, but if you shift the mounting points, it can be done, just realize you need some pretty stout wheels. +1, and if you raise the front of the cherry picker with larger wheels it might not fit under the front of your Mustang. 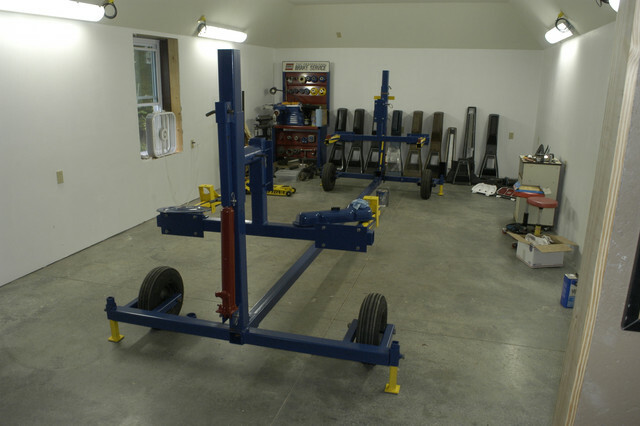 I've seen A frame style engine hoists with large pneumatic tires used in wrecking yards, likely made in their shop. Or get a solid rubber wheel. Gives the support of the hard solid wheels with just a little give to absob the bumps. Like what would be on a heavy duty forklift only smaller. My rotisserie has pneumatic rubber tires and is easy to move. Carlisle Tire has about any small tire you might need. They supply lots of them to the lawn equipment world. When I worked for Husqvarna I could get the mower tires for $5.00 each regardless of size. Scratch and dent sales. Here is link to web page. Here is pic of the rotisserie. You can put drop axles on anything and keep the frame low. I have made several for trailer builds. I use a piece of channel iron and reposition the spindle where I want it. You can also have the pneumatic tires filled with foam then they never go flat. If you are building an engine you need to stay in an enclosed room and as clean as possible. Cover the engine with plastic bag each time you leave it. I would not suggest building and engine outside unless there is no other way. Clean Clean Clean. BTW I put my brake lathe on hard rubber rollers so I can move to open door or outside and have bought wheels for my blast cabinet also. I do like to move the lathe and blast cabinet outside to use it. Again clean clean clean. 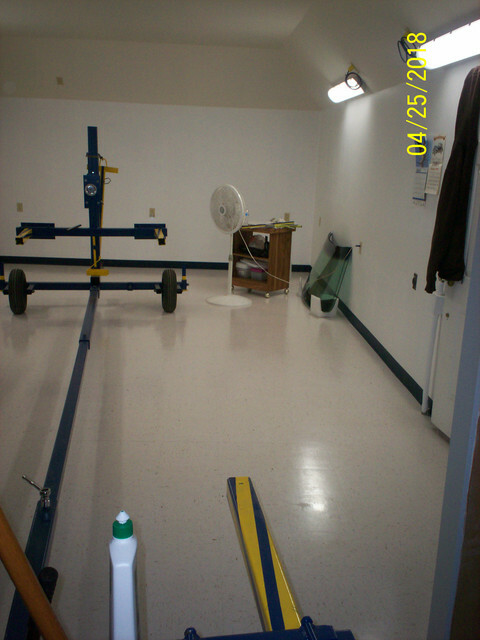 I have added tile to the floor of my work room since this picture. Got at Habitat Store for $45.00 and got Ford Blue base board there also for $10.00. I wanted to use the air tires on the engine stand so I can push the block out to my washout area for cleaning..otherwise it would be stay indoors for the build. In our Tool & Die shop the steel work horses were heavy so they put spring loaded castors on them. With no load the wheels rolled the stands around with ease. When you put weight on them the legs hit the floor and they did not move. Might look at something like that for what you are calling crane?